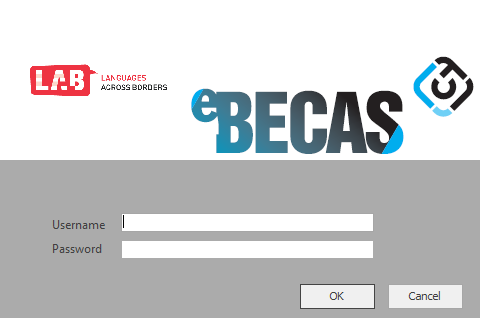 eBECAS is initially supplied to a College via a url reference. 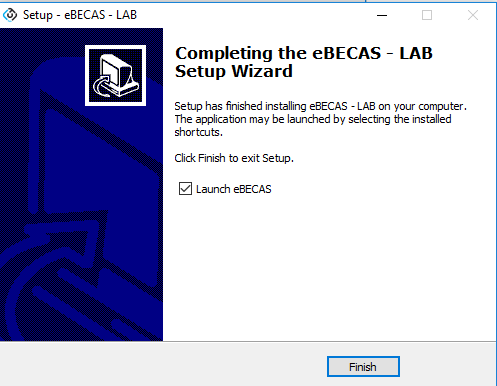 The url enables you to download the software to install the eBECAS software on a Windows PC. 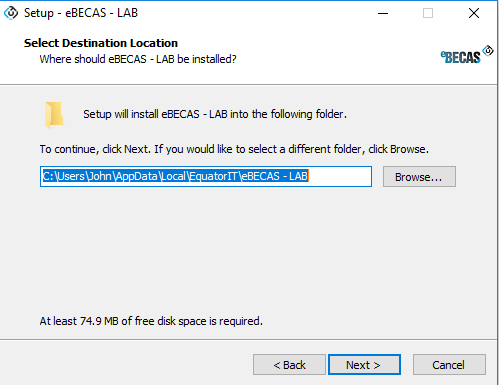 The eBECAS software needs to be installed on each PC. 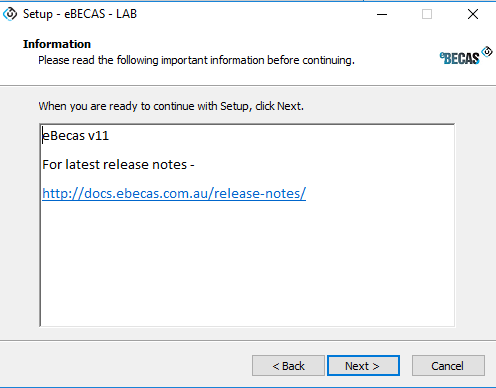 Press Next to run eBECAS following installation. 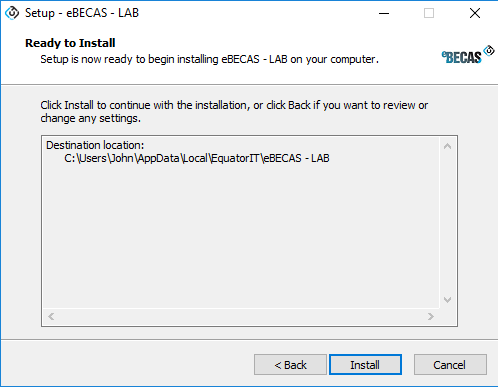 Once the program is installed, each time the program is run it will check if the version is the latest. 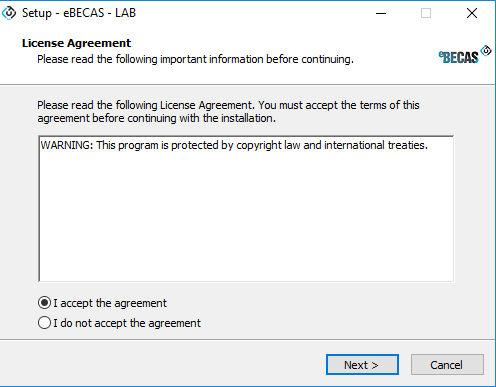 In order to run eBECAS the latest version must be used. 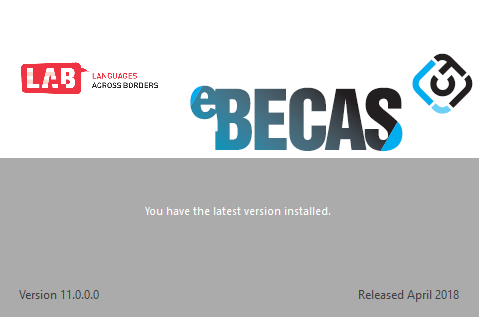 The screen verifying the latest version is installed is shown like this with the College logo beside the eBECAS logo.